Whether you’re looking for lucky plants inside the home or out in the garden, there are a number of plants considered lucky that you can choose from. – this plant isn’t a bamboo at all but a type of Dracaena. 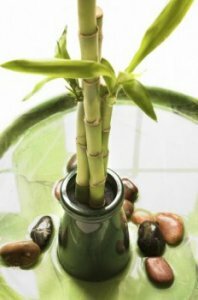 Associated with Feng-Shui, each arrangement of this plant has a specific number of stalks, each with its own specific meaning: three means happiness, longevity and wealth; five stalks are for wealth; six will bring luck; seven good health, eight for growth and 10 for completion. If you’re “lucky” enough to have 21 stalks, then it’s believed to bring blessings of enduring health and great wealth. – this foliage plant can be found in many vibrant colors. Early Polynesians believed it had mystical powers, so to grow one in your home is thought to bring good fortune to those residing there. And for anyone growing ti plants with two stalks can double their luck, while finding love too. – the Pachira money tree is another plant commonly used in Feng Shui and also believed to bring the grower good luck. Interestingly, money trees are often braided together, but in order for the “luck” to work, you’ll need to have three to five braided plants, steering clear of the unlucky number four. Additionally, its leaves must have five or more “fingers” to be lucky. – according to Feng Shui lore, plants with rounded leaves are sure to bring good fortune and the jade plant is no exception. Jade is a traditional gift given to new business owners and, when placed near the entrance, is thought to bring prosperity and success. No reason this shouldn’t work for the home too. – a popular story is that St. Patrick, the saint who brought Christianity to Ireland, plucked a shamrock from the grass at his feet to illustrate the doctrine of the Holy Trinity, as each leaf symbolizes the father, the son, and the Holy Spirit. As such, the shamrock plant (oxalis or wood sorrel) is one of those plants considered lucky. – also known as mother-in-law plant, whatever you call it, this plant has been deemed a good luck plant because of its ability to absorb poisonous gases from the air, removing toxins such as formaldehyde and benzene. Additionally, this healthy plant can help provide natural humidity when grouped with others. – so the actual “shamrock” plucked by St. Patrick was most likely a white clover (Trifolium repens) and is difficult to grow indoors. That being said, you’ll normally find the plant readily growing in your yard, either planted there by you or as a weed. With clover leaves, one leaf represents faith, the second hope, the third love and the rare four-leaf clover brings luck. – not only a popular culinary herb for growing in the garden, basil is also said to bring with it love, wealth, luck and beauty. Additionally, basil is thought to contain antidepressant, antiseptic and antibacterial properties, and may repel flies too. It is also thought to help people to achieve financial success with little effort. – not all honeysuckle vines are weeds, and in addition to the intoxicating fragrance and tasty nectar, honeysuckle is included in the plants that bring good luck. It’s also believed to offer protection, too. – another plant that produces a lovely aroma is jasmine. 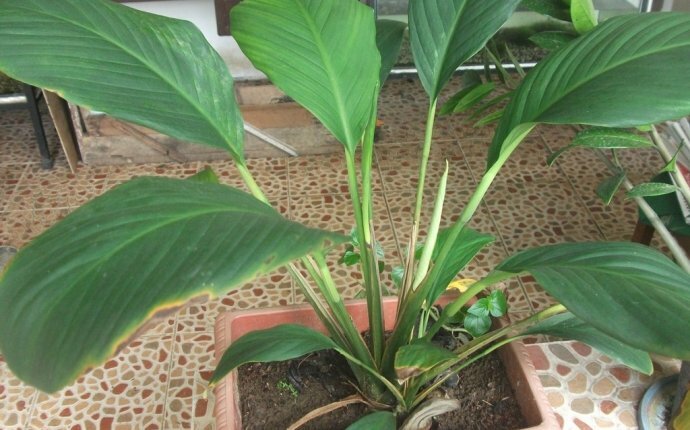 This plant may also attract love and money when grown in and around the home. In fact, jasmine oil is believed to be one of the most powerful aphrodisiacs around. Smell is a potent sense. – roses are red, violets are blue and growing roses might bring luck to you. Yes, the rose is believed among other thing to attract love, healing and luck. Additionally, the different colors associated with roses have specific meanings attached to them too.